Jaguar Land Rover is leading the fight against the spread of superbugs with the help of ultraviolet (UV-C) technology. 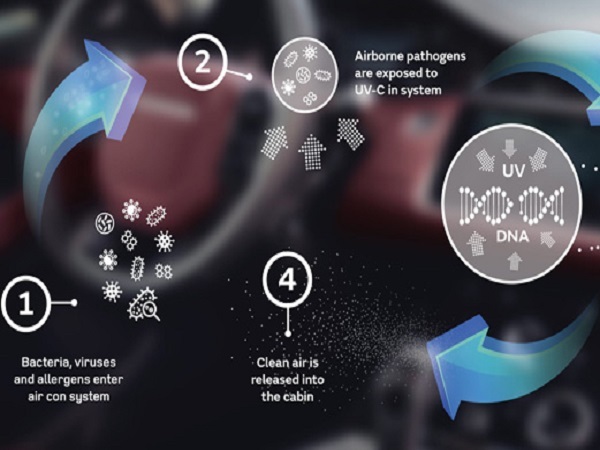 By integrating UV-C into future vehicles’ air conditioning system, it will break down the pathogen’s molecular DNA structure, neutralising them and releasing clean air into the cabin. Despite being used by the medical industry for more than 70 years to help disinfect water and sterilise surfaces, Jaguar Land Rover is looking to use the technology as part of its vision to create a tranquil sanctuary inside each of its luxury vehicles. 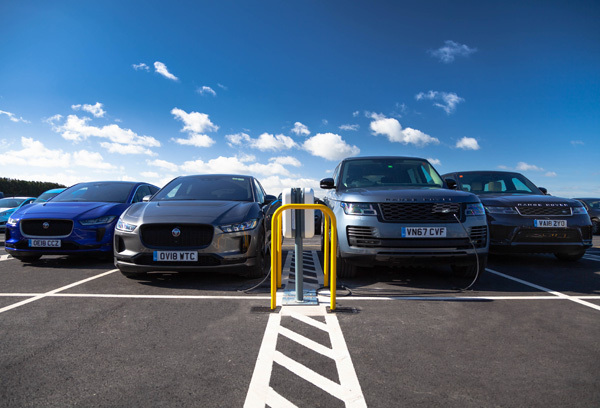 Dr Steve Iley, Jaguar Land Rover’s Chief Medical Officer, said there is a clear opportunity to better utilise cars for administering preventative healthcare, as the average motorist spends more than 300 hours per year behind the wheel. “In the colder months infections are spread more easily,” he adds. “It’s reassuring to know that in your car at least, you can be confident that harmful pathogens are being neutralised. Trials run by medical equipment supplier Tru-D has suggested that UV-C could be even more effective as it has been shown to cut the transmission of four major superbugs by up to 30 percent, including MRSA and C.difficile. As part of Jaguar Land Rover’s move towards a self-driving future, it is looking to develop a wide range of driver and passenger wellbeing features, including reducing motion sickness in vehicles. But already our cars have technology that can combat pathogens, allergens and odours. The latest generation four-zone climate control and cabin air ionisation systems work by using high voltage to deactivate the pathogens by making them larger particles which are removed from the air as they are brought back into the filter.